Craft whiskey vs. Jim Beam: Smaller distilleries aren’t necessarily better. Most foodies reflexively reach for artisanal versions of their favorite foods. We hold the truth that “small is best” to be self-evident, and vow to eat craft rather than Kraft. The bread, cheese, pickles, and jam we buy from small-batch producers at the farmers market and carry home in NPR totes are worth the cost to us: After all, they usually taste better than their commercial counterparts. This fact flies in the face of our instinct to support the little guy, particularly when he’s your new neighbor and has assumed a huge financial risk to pursue the dream of making whiskey. Just a decade ago, almost every brand of American whiskey—primarily bourbon, rye, and Tennessee whiskey—was made by a handful of companies located in Kentucky and other Southern states. In the last few years, however, the number of distilleries has mushroomed to more than 200, spread throughout the country, as new producers attempt to capitalize on whiskey’s rising popularity. 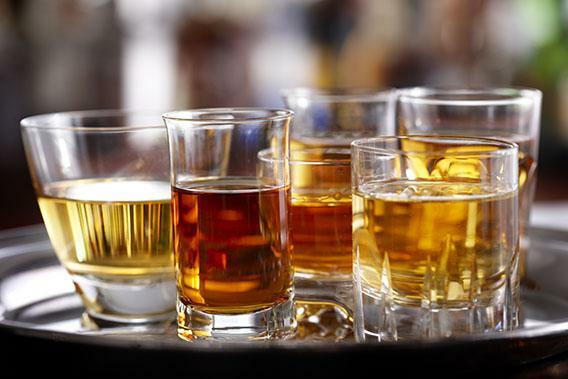 Sales of American whiskey have increased by more than 13 percent during the last five years, according to the Distilled Spirits Council of the United States (which sponsored a recent tour of both big and small distilleries that I attended). Sales of pricier, high-end products, the kind most emerging craft bands are marketing, increased by more than double that rate. Many of these new distilleries have capitalized on the locavore movement, utilizing terms like “organic,” “local,” “small,” and the ambiguous “craft,” to appeal to the kind of upwardly mobile buyers who are driving sales. The upstarts are entering a crowded market for a product that traditionally takes years to age, meaning long learning curves and delayed revenue. The odds are even more stacked against them than they were for emerging microbreweries in the 1980s and 1990s. Like their brewing brethren, a few successful microdistilleries will eventually stand triumphant on a battlefield littered with secondhand equipment for sale. In order to survive in the meantime, many microdistilleries are either marking up the price of whiskey purchased from big distilleries or attempting to abridge the long and expensive aging process with techniques that have yielded some very mixed results. Some consumers might be unaware of ways that small outfits are blurring the definition of “craft.” As microdistilleries build their facilities or wait for their stocks to age, many purchase whiskey from established companies and resell it. These suppliers include Heaven Hill in Bardstown, Ky., which produces many of its own brands and is best known for Evan Williams bourbon, and MGP Ingredients, which owns the former Seagram Company distillery in Lawrenceburg, Ind. Both companies supply small and large labels alike. Craft brands can either put their own labels on whiskey they purchase from bulk producers and mark up the price, or enhance the flavor of sourced whiskey by aging it further, sometimes in old wine barrels for more complexity. In an industry where many brands pride themselves on tradition and advertise long family heritages with pictures of old men who look like Civil War generals, it’s no surprise that many distilleries downplay this practice. (Others create the appearance of being older than they really are by purchasing and reviving long-dormant trademarks.) MGP’s bland corporate website doesn’t list the brands it supplies, although it does provide basic recipes for the types of spirits its makes. Enterprising drinkers with time on their hands can sometimes use these recipes to sleuth out the origin of their whiskey, if a brand lists its grain composition on its bottles or website. Another tactic is simply to look for town names like Lawrenceburg, Ind., or Bardstown on the label for additional clues. And some companies readily admit on their labels to blending different sourced spirits. Does sourcing whiskey from other suppliers really matter, as long as it tastes good? Craft brands like the Michter’s labels, Belle Meade Bourbon, and Smooth Ambler’s Old Scout are all sourced from other distilleries while the companies build their facilities or age their own stocks, and all are balanced and flavorful products. High West Distillery, another craft outfit, even won an award at the 2010 American Distilling Institute’s Best Craft American Whiskey competition with a whiskey it originally sourced before its homemade product was ready for market. What about microdistilleries that actually make their own products? Some, such as Nashville’s Corsair Distillery, have attracted well-deserved attention by experimenting with techniques and flavors avoided by their bigger counterparts. Sometimes these attempts fail, but when they succeed, the results can be exceptional. Corsair’s Quinoa Whiskey has bitter notes that I find disagreeable, but the distillery’s Triple Smoke, which employs smoke flavors from three different types of wood, is flavorful, nuanced, and unique. In the tradition-bound whiskey world, Triple Smoke and many of Corsair’s other experimental projects are the equivalent of Bob Dylan playing an electric guitar at the Newport Folk Festival: a little unsettling to purists whose tastes and expectations are already established, but appealingly innovative to others. Conversations about craft distilleries, however, get a little uncomfortable when they turn to more traditional categories of whiskey such as bourbon, which established producers already do very well. As Pickerell told me, “You can’t out-Maker’s-Mark Maker’s Mark.” Even the most basic offerings from many big distilleries—brands like Buffalo Trace, Jim Beam Black, and Wild Turkey 101—are excellent products that I find more complex than many craft products that are much more expensive. Higher-end products from these same big distilleries—Eagle Rare Single Barrel, Knob Creek, and Russell’s Reserve—are very hard to compete with, especially at the prices they charge. Established distilleries’ biggest advantage over small competitors is that they can afford more of an essential ingredient needed to make good whiskey: time. Four years is generally considered a minimum for decent bourbon. Jimmy Russell, master distiller at Wild Turkey, even considers four- to five-year-old bourbon “a little green.” For whiskey startups operating on shoestring budgets, four years is an eternity to wait before earning revenue. Many have attempted to dodge this obstacle by selling younger whiskies or attempting to quickly extract wood flavors by using smaller barrels, wood chips, ultrasound machines, pressure cookers, and even by playing loud bass music to agitate the whiskey. Upstart distilleries say these techniques do for their whiskeys in a matter of months what otherwise takes years. These kinds of claims immediately raise red flags. Whiskeys made with these new techniques aren’t always quite as bad as some whiskey reviewers claim, but to many palates (including my own) they usually lack the depth found in whiskeys aged in large barrels for years at a time. Aware of these limitations, some microdistillery owners have told me they plan to eventually transition to tried-and-true methods used by their established counterparts once they can afford it. Brands like Jim Beam sometimes fail to capitalize on their taste advantages, and they don’t help themselves with the foodie market when they do things like team up with Hardee’s to offer the “Jim Beam Bourbon Thickburger.” Brand recognition like that hardly appeals to people reading Michael Pollan’s latest book. But as Jimmy Russell reminded me, many well-known distilleries originally started out as craft operations, eventually merging under larger corporate umbrellas but still operating fairly independently. Update, June 27, 2013: This article has been updated to clarify that while Maker’s Mark bought whiskey from larger distilleries, they sold it under separate labels rather than their own name.